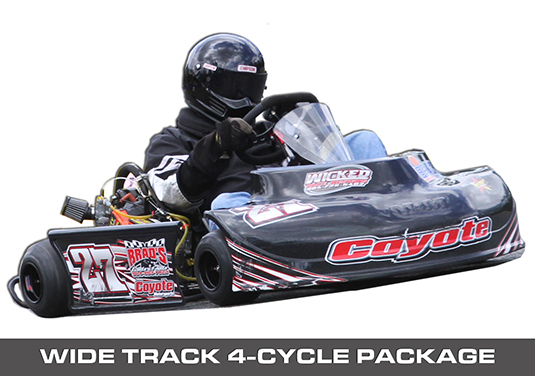 The Choice for 4-Cycle Sprint Karts! 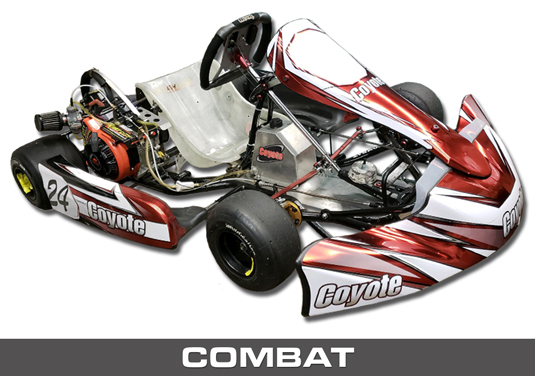 Coyote Racing Chassis is a kart racing chassis and parts manufacturer located in Rochester, NY. 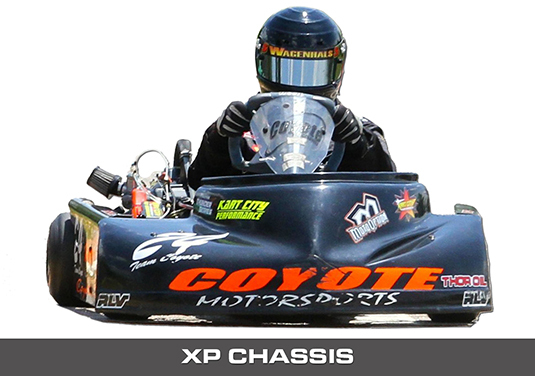 We serve go-kart racing and karting enthusiasts across America with championship-winning chassis, a full line of OEM kart racing parts and a wide range of support that will help get you find the speed you desire – whether you’re a beginner, club-level or pro kart racer. 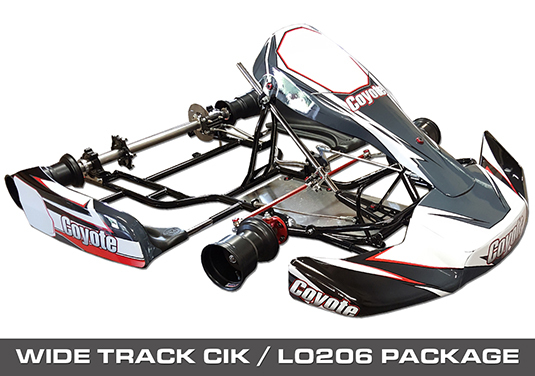 Coyote Motorsports is ready to serve with you and your family with everything you’ll need to kick-start, continue and advance your kart racing hobby and career! 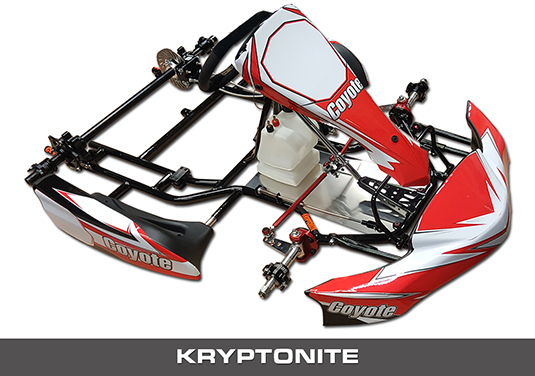 Below is our current lineup of kart racing chassis, comprising the CIK Wide Track, 4-Cycle Wide Track and XP for juniors and adults, and the Kryptonite chassis for cadets and junior sportsman. Click a photo to be directed to each chassis page. 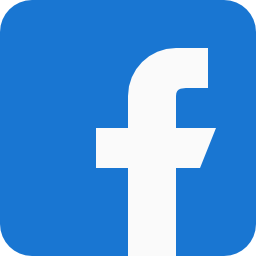 Each chassis page includes information and specifications of the chassis. 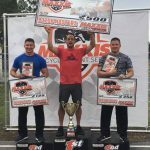 Questions on the chassis we build and support? 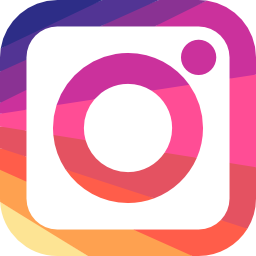 Contact us today at 585-352-0806 or email coyotekart@gmail.com!